98.1 KDD’s Keith Kennedy announces the total raised at the 2017 “Have a Heart, Do Your Part” Radiothon. 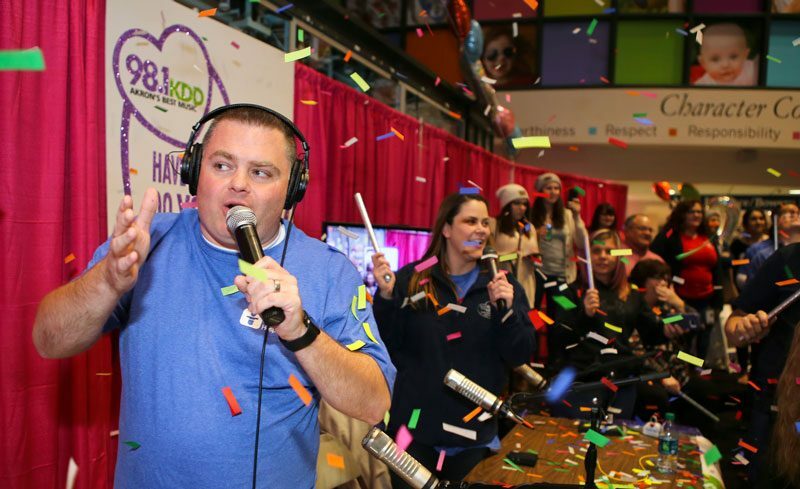 In its 18th year, the 98.1 KDD “Have a Heart, Do Your Part” Radiothon benefiting Akron Children’s Hospital surpassed the $10 million mark for money raised since the event began in 2000. Patient Spencer Beal (front row, center) poses for a photo with his siblings at “Have a Heart, Do Your Part” Radiothon. This year’s 3-day radiothon raised $551,886 for Akron Children’s, $100,000 more than the amount raised in 2016. 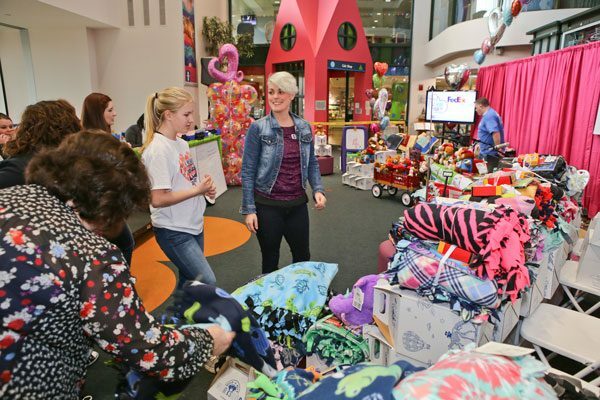 “We’re really appreciative that the community and 98.1 KDD supported Akron Children’s again in such a big way,” said Nicci Avalon, Children’s Miracle Network Hospitals program manager at Akron Children’s. The festivities kicked off at the Change Bandit Bash at the Akron Zoo the night before Radiothon started. This year close to 400 community members and groups signed up to “rob” friends and family of their spare change to support Akron Children’s. The Change Bandits who attended the bash turned in almost $30,000 to start the fundraising on a strong note. Throughout the 3-day fundraiser, Keith, Tony and Meg from KDD’s morning show encouraged listeners to call or text in a donation. 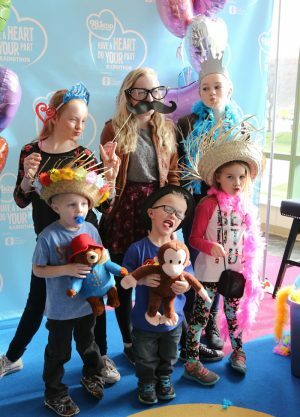 They shared countless stories from patient families, schools and community members who were Change Bandits or had benefited from the care they received at Akron Children’s. “I think that’s the incredible part about Radiothon, hearing all of these inspiring stories directly from our patient families about the journey they’ve been on and how Akron Children’s has impacted their lives,” said Avalon. Thank you also to the more than 300 volunteers from over 35 area companies, groups and hospital departments who worked the phone banks throughout Radiothon, and the additional 300 volunteers who made the event possible. Donated blankets, stuffed animals and toys were distributed to patients throughout the three days of the “Have a Heart, Do Your Part” Radiothon.